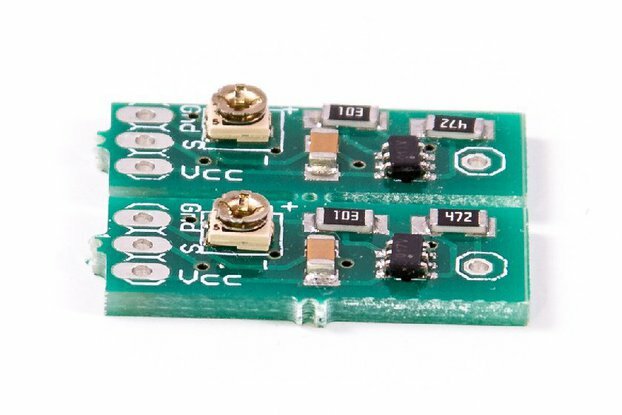 This is a cheap ultra low power board designed to receive a 433MHz transmitter and a sensor. It runs on an ATTiny85 microcontroller which can be programmed via ISP (2x3 pads exposed). Can connect almost every cheap Chinese sensor + battery friendly ;) I bet that you were at least as disappointed as I was with every commercial 433 MHz, RFLink and RFXCom compatible device! You never find the right one, you missed the last discount, the one you finally bought eats up more batteries than you eat cereals at breakfast… what a mess. Time to do something! So I designed my own board with theses 2 goals. 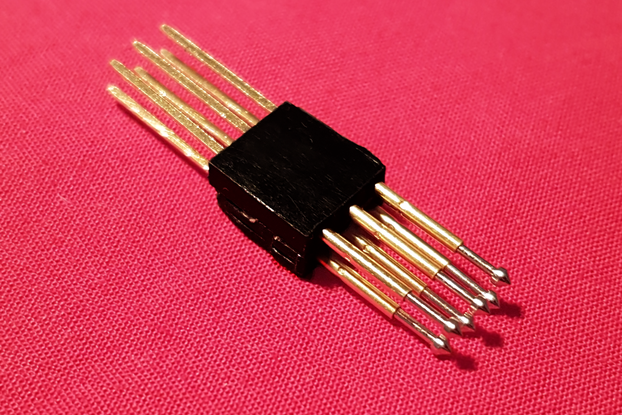 Compatible, Ultra low power, Hackable. 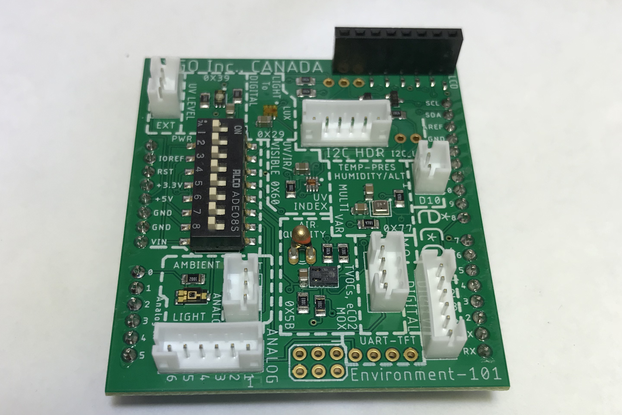 It is compatible with many sensors, and many 433 MHz modules out of the box. When it does nothing, every peripheral can be powered down (TX, sensors, and deep sleep). Thus it consumes 5.1µA when asleep --> 1.2 years one a single coin cell (CR2032). 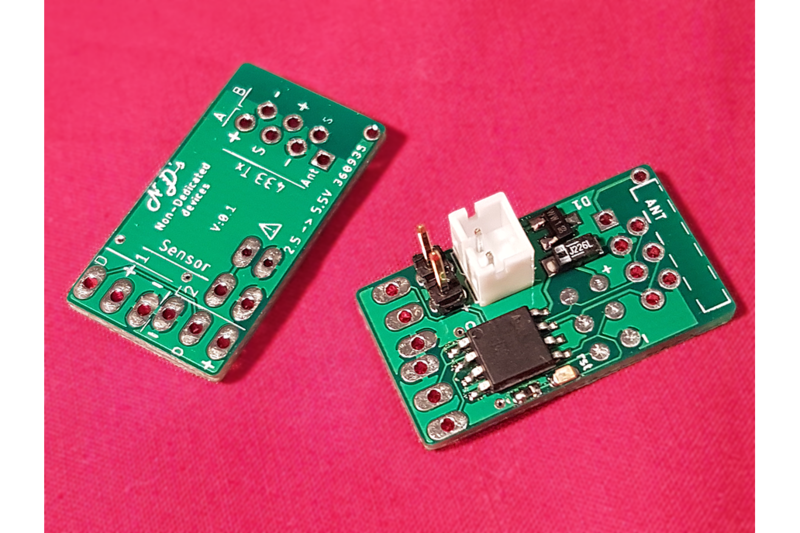 If you want a lazy but fully working sensor kit, please go to check my "433 Sensor kit". Power source: 2 sets of pins (2.54mm or 2.0mm spacing). On the 2mm spacing, you can easily adapt a JST PH connector which is compatible with a few RC drone batteries. Transmitter: 3-pins or 4-pins transmitters. The antenna is duplicated on an external pin so that you can solder it with 16.8cm plain wire for optimal performance. Sensors: 3-pins digital or analogic sensors. Max input current: 20mA per sensor. 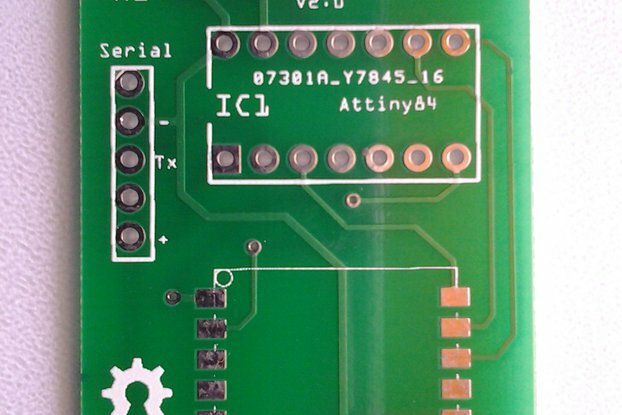 You can wire a maximum of 1xsensor and 1x433 transmitter per board. But you have the choice between two pin ordering for each one. 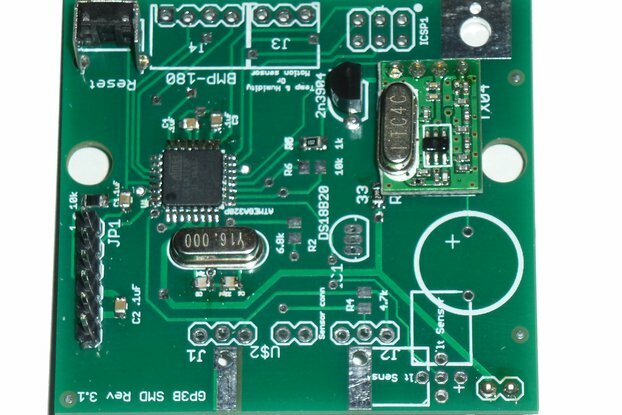 The CKDIV8 is activated by default on a new microcontroller. Once soldered with Tx, the chip can’t be programmed anymore. So pay attention! If you want to flash the device several times, consider using header pins. Of course, if you have any other transmitting protocol, you can probably use it, maybe by hacking the board.